Golden Bomber is in charge of the opening theme "Odoru Ponpokorin" for anime "Chibi Maruko-chan". 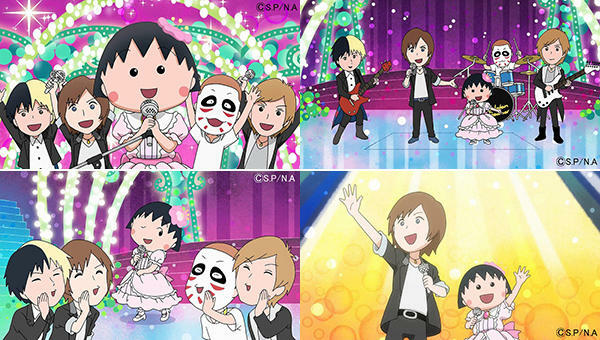 In the opening footage for "Chibi Maruko-chan", the members hold a concert where the anime's character make an appearance one after another. Kiryuin Sho (Vo) commented, "The Golden Bomber members will be singing the opening theme 'Odoru Ponpokorin' for 'Chibi Maruko-chan'! There is also a new animation to go with it , so please watch it every week!"